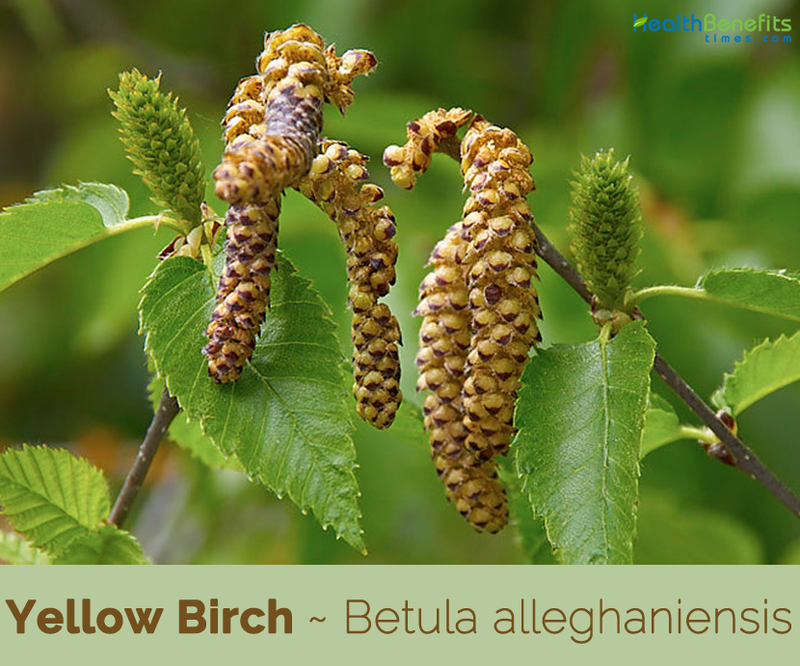 Yellow birch scientifically known as Betula alleghaniensis is an aromatic, medium-sized tree belonging to the Birch Family (Betulaceae). As a member of the Birch Family, it is associated to the Alders, Hornbeams, Filberts, and Hophornbeams, in addition to other Birches. The plant is native to Newfoundland, Nova Scotia, New Brunswick, and Anticosti Island west through southern Ontario to extreme southeastern Manitoba; south to Minnesota and northeastern Iowa; east to northern Illinois, Ohio, Pennsylvania to northern New Jersey and New England; and south in the Appalachian Mountains to eastern Tennessee and northeastern Georgia. 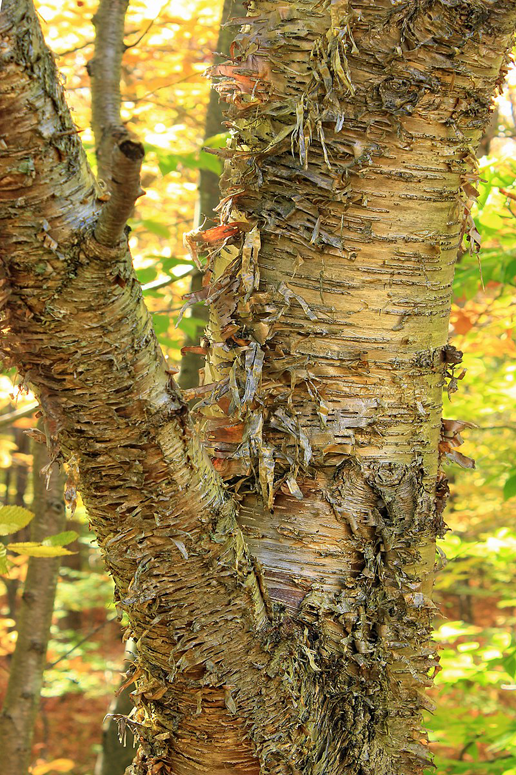 Some of its popular common names are Yellow birch, Swamp birch, Gray birch, golden birch and Silver birch. The genus, Betula, is the Latin word for the birch tree. The species, alleghaniensis, refers to the Allegheny Mountains where the tree is widespread. 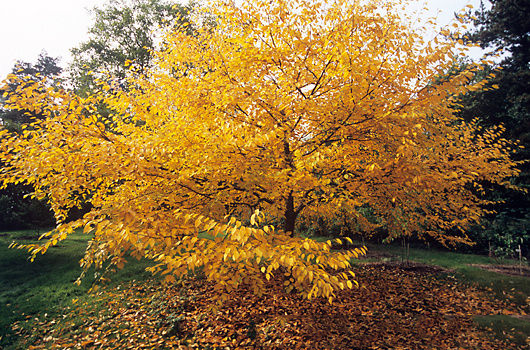 In the 19th Century the species was classified as B. lutea, from the Latin lutum for ‘yellow’. The name ‘birch’ itself is derived from an old Teutonic word. 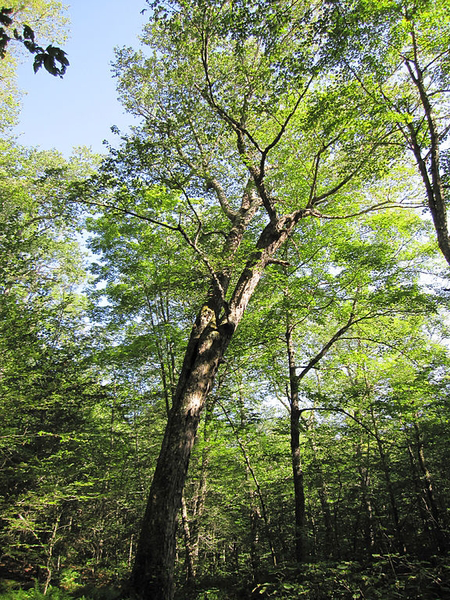 Yellow Birch is one of the largest of the eastern hardwoods. 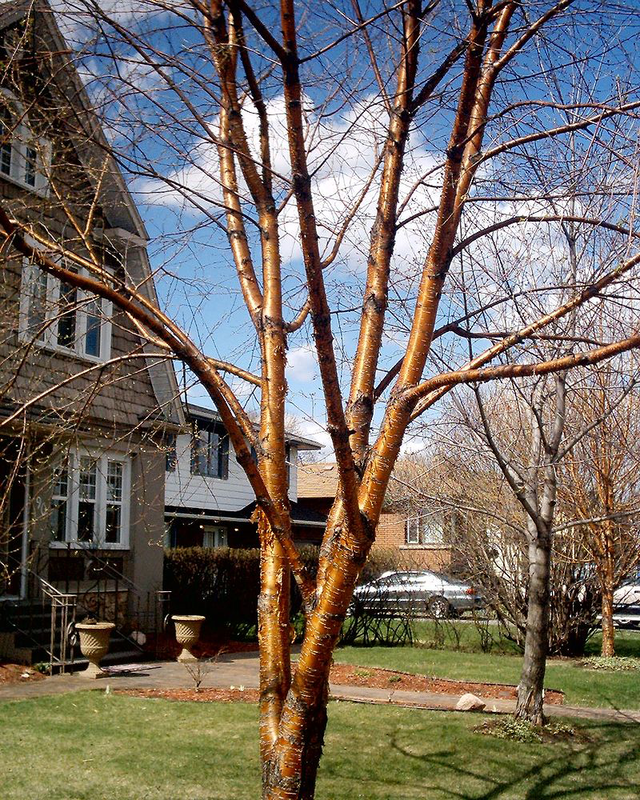 It is very similar to Sweet Birch, but easily distinguished by its bark. Yellow birch is named for its characteristic shiny-golden, peeling bark. Yellow Birch is an aromatic, medium-sized, slow growing, long lived, typically single stemmed, deciduous tree that grows about 60 to 75 feet (18-23 m) in height and up to 2 feet (0.6 m) in diameter, and sometimes grows to 100 feet (30 m) in height and 4 feet (1.2 m) in diameter. The plant is often found growing on north facing slopes, swamps, stream banks, and rich woods. The plant prefers moist, well-drained soils of uplands and mountain ravines. It occurs on various soil types including glacial tills, outwash sands, lacustrine deposits, shallow loess, and residual soils derived from sandstone, limestone, igneous, and metamorphic rock. The root system of yellow birch is generally shallow but variable. There is a well-developed extensive lateral root system; roots spread horizontally or may penetrate more than 5 feet (1.5 m). Open-grown yellow birch crowns are long and wide spreading. In more dense forest, crowns are short and irregularly rounded. The trunk usually divides into a few spreading branches but lateral shade produces a straight trunk that extends nearly to the top of the tree. In dense stands the trunk is free of branches for over half the height of the tree. Twigs are greenish-brown to reddish-brown, slender, with hair when young; smooth and brown later, with scattered light colored lenticels, and usually have small glands. The glands and the inner pith give off a wintergreen odor and taste when crushed. Bark is normally smooth shiny reddish-brown when young that separates into papery curly strips and with age becomes tan to golden-yellowish or silver gray with expanded lenticels, fissures and scaly plates. On old trunks, the bark is deeply grooved and about 0.5-inch (1.2-cm) thick. 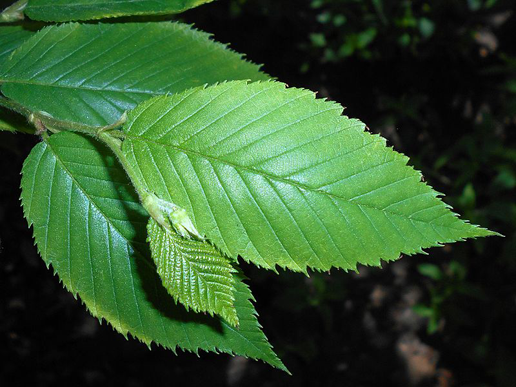 Leaves are alternate, simple, elliptical, 4 to 6 inches long and typically half as wide with a pointed tip, rounded to heart-shape base and a sharp double-toothed margin, 9 to 11 veins per side. The leaf is dark dull green above, light yellow green below and is hairy when young. Leaves often have resinous glands along the vein which also give off the wintergreen odor when crushed. 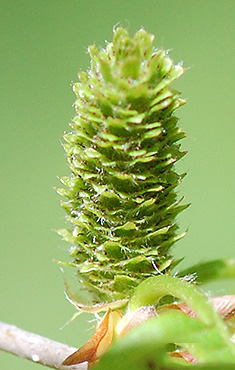 There are small stipules at the base of the leaf stalk. Leaves usually occur on short spur shoots of the twig, 2 per shoot. Fall color is a bright yellow. The tree is monoecious, that is with separate male and female flowers on the same tree. Male flowers (staminate) occur in a cluster of 3 to 6 reddish-green catkins that appear on the twigs in the fall and then elongate up to 3 – 4 inches long, in the spring, near the ends of twigs, in hanging clusters taking on a yellow-purple color. The individual flowers are only 1/8 inch long, are yellowish with 2 stamens, a 4-lobed calyx and are in groups of 3 and slightly covered by small bracts. 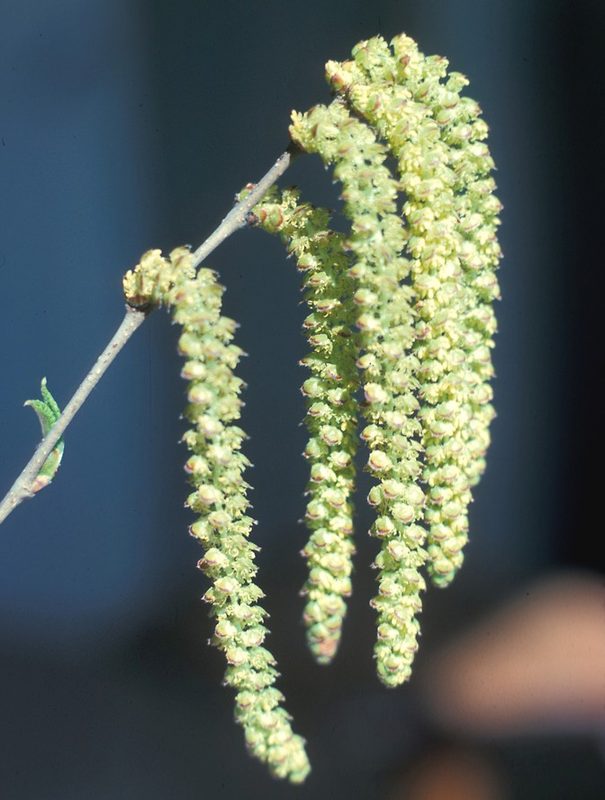 Female flowers (pistillate) appear with the leaves and are reddish-green upright catkins, about 3/4 to 1-1/4 inches long at maturity, back of the tip on the same twigs. Each flower has an ovary, a pair of styles but no calyx or petals and occurs in groups of 3 and is also covered by bracts. 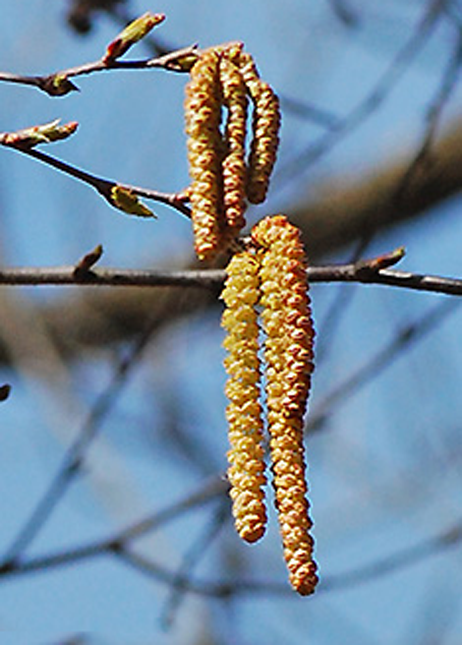 Catkins are also referred to as ‘aments’. Flowering normally takes place from April-May. Pollination is by wind. 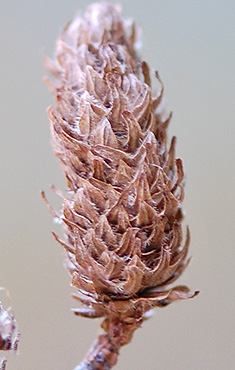 Flowers mature to a short-stalked upright cylindrical non-woody cone-like structure, 3/4 to 1-1/4 inches long, brownish in color with many 3-lobed hairy scales containing 2-winged nutlets, the wings are narrower than the nutlet, which mature in the fall and disperse by wind and water in the winter. 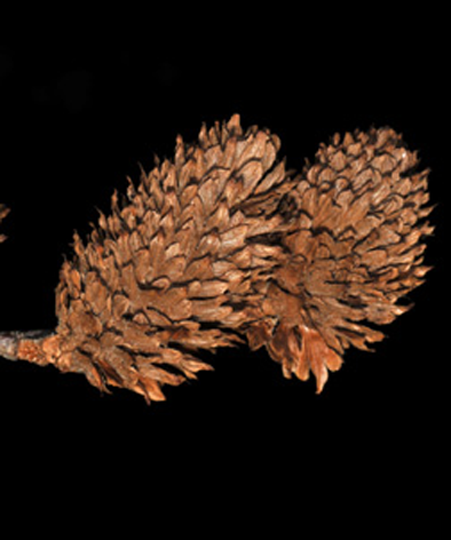 These cone-like structures will usually remain on the twig after seed release. Seeds are not produced on young trees and once production starts crops are heavy once every 10 years and much lighter on intervening years. 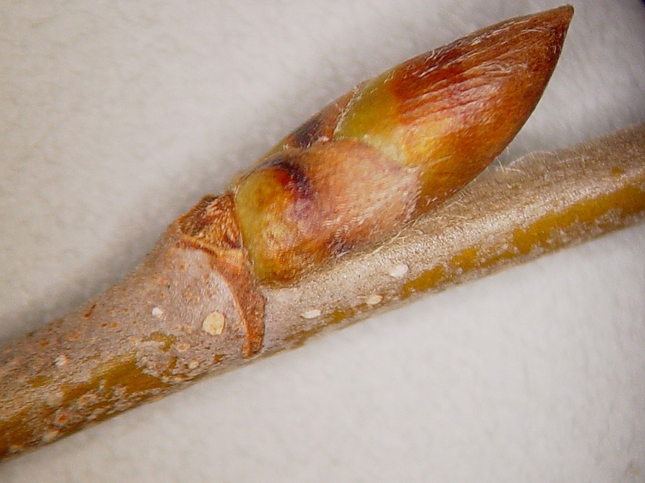 Yellow birch reproduces mostly by seed, usually first at about 40 years but optimally at about 70 years – trees under 20 years sometimes produce seed. Good seed crops are produced at intervals of 1- 4 years, usually with little seed produced in intervening years. Viability under natural conditions decreases around the second year. 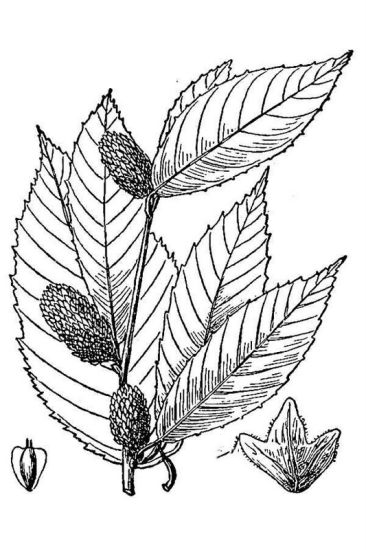 Yellow birch is little used medicinally, though a decoction of the bark has been used by the native North American Indians as a blood purifier, acting to cleanse the body by its emetic and cathartic properties. Bark is a source of ‘Oil of Wintergreen’. 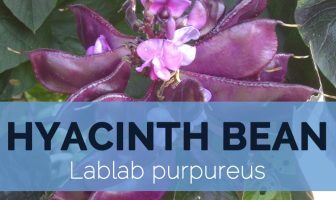 This does have medicinal properties, though it is mainly used as a flavoring in medicines. Tea of the twigs and bark aids in eradication of the mouth of canker sores. An infusion made from the leaves of the Birch has been used as a diuretic and cleansing agent to the urinary tract. 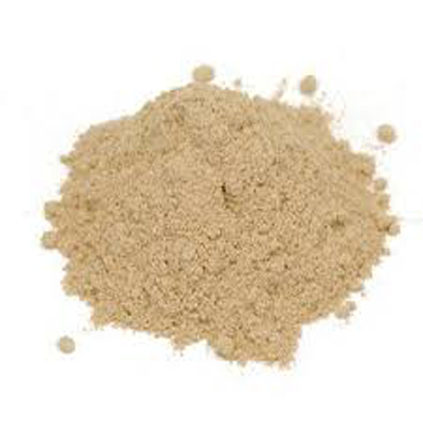 It has been used to treat gout, rheumatism and mild arthritic pain. Decoction of the leaves has occasionally been used to prevent baldness, as is the fresh juice. Decoction is also used as a sleeping aid before bed for insomnia. The tea can also be used as a wash for skin complaints. If the skin problems are severe or chronic, a decoction of the bark can be used as a wash or added to the bath. Oil extracted from the buds or the bark can be used externally for acne, rheumatism and gout. Tea prepared from twigs and bark can be helpful for boils and sores when taken internally as well as used as a wash. Essential oil of Birch can ease sore muscles or joint pain if applied externally. Inner bark is cooked or dried and ground into a powder and used with cereals in making bread. 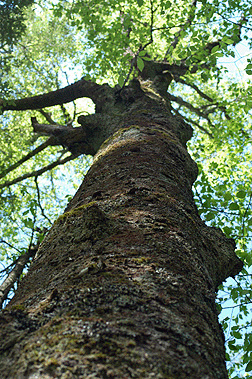 Inner bark is generally only seen as a famine food, used when other forms of starch are not available or are in short supply. Sap is consumed raw or cooked. Pleasant drink, it can also be concentrated into syrup or fermented into a beer. Tea is made from the twigs, inner bark and leaves. Twigs and leaves have the flavor of wintergreen and can be used as condiments. Sap of yellow birch can be tapped for use as edible syrup. Bark is waterproof and has been used by native peoples as the outer skin of canoes, as roofing material on dwellings and to make containers such as buckets, baskets and dishes. Wood is close-grained, very strong, hard, and heavy. The wood is too dense to float; it is used for furniture, cabinetry, charcoal, pulp, interior finish, veneer, tool handles, boxes, woodenware, and interior doors. Wood is also often used as a fuel. Yellow birch is one of the principal hardwoods used in the distillation of wood alcohol, acetate of lime, charcoal, tar, and oils. It also is a good edge tree for naturalized areas. Yellow birch chips can be used to produce ethanol and other products. Bark can be used to build dwellings, lodges, canoes, storage containers, sap dishes, rice baskets, buckets, trays and dishes and place on coffins when burying the dead. Root Generally shallow but variable. There is a well-developed extensive lateral root system; roots spread horizontally or may penetrate more than 5 feet (1.5 m). Seed Winged samara with two wings which are shorter than the width of the seed which matures and gets released in autumn. 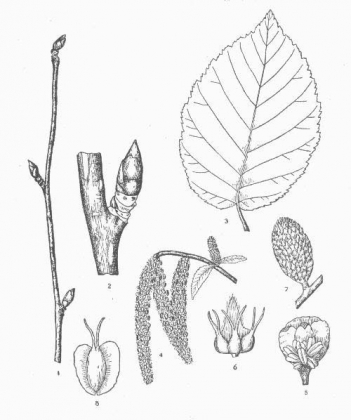 Betula alleghaniensis var. macrolepis (Fernald) F.Seym.